2013 coming to end and as we always say days are indeed flying and this year passed away just too quickly I think. Blogging wise this year has been great for Indian Khana, I finally shifted to own domain after lot of troubles that I was facing for long time and in the end opted for the easy route of domain change than doing what I was actually had in mind. 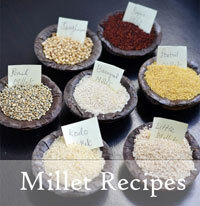 This year I blogged 200+ recipes highest number of recipes in a year for me so far. Mooli Chana Dal or Radish Chana dal is easy dal recipe made with mooli. People normally use mooli or radish in paratha, salad, sambar and here is the dal version with chana dal. If aahar or toor dal is used with mooli then the taste is different & chana dal taste is different and this dal taste best if chana dal is used. Radish is high in folic acid and potassium and they have good source of vitamin B6, copper, calcium etc. Christmas is here and this festive season means baking cakes, cookies, muffins etc for family, friends and enjoy the joy the giving. I didn't made anything specific to blog this year so posting collection of cakes, cookies, muffin, cupcakes that I have already in blog here so you can plan your Christmas baking and enjoy with family. 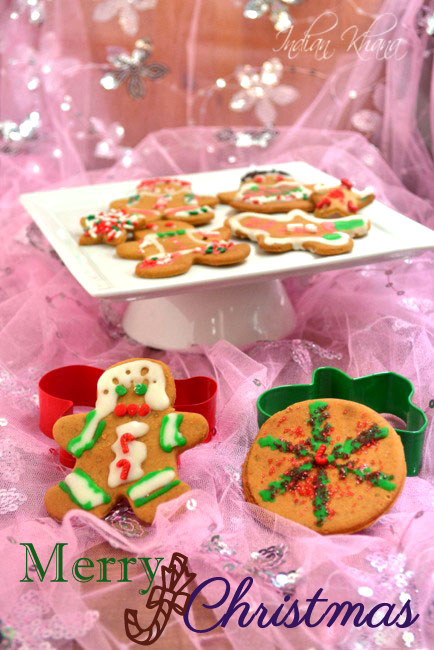 Do try the eggless, alocohol-free Christmas Fruit Cake it doesn't require days of soaking fruits too and taste too good and also the popular Gingerbread man Cookies to wow your kids. Aratikaya Vepudu, Balekai Palya, Raw Banana Stirfry, Plantain Fry, Kachha Kela ki Sabzi, Vazhakkai Varuval or whatever we may call it is easy plantain or raw banana fry in Andhra style. 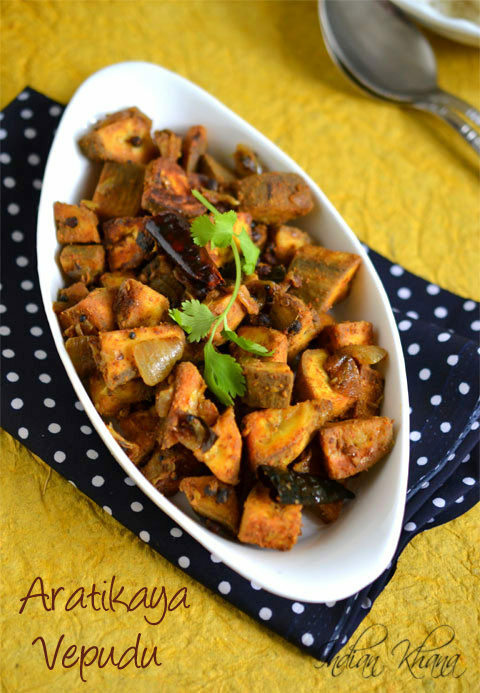 It's basic plantain (Vazhakkai) pan fry with basic spices, onion, ginger-garlic paste etc. In normal Vazhakkai Varuval or plantain fry we don't add onion, ginger-garlic paste etc but in this Andhra version few extra ingredients are added which enhance the taste more. 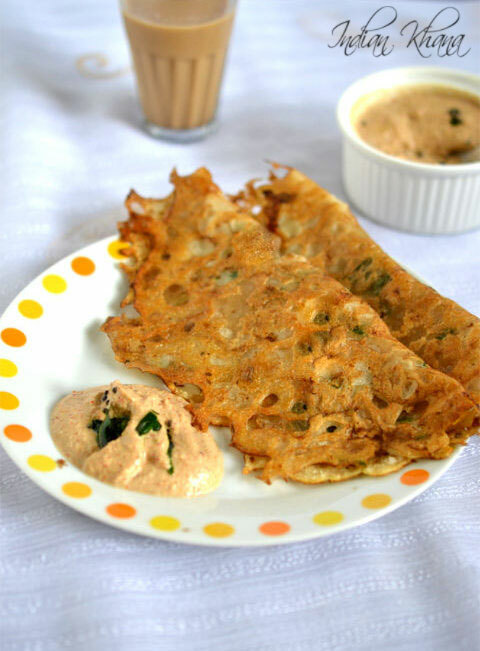 Bombay Chutney or Besan chutney is easy chutney or side dish with poori, roti, paratha, dosa etc. 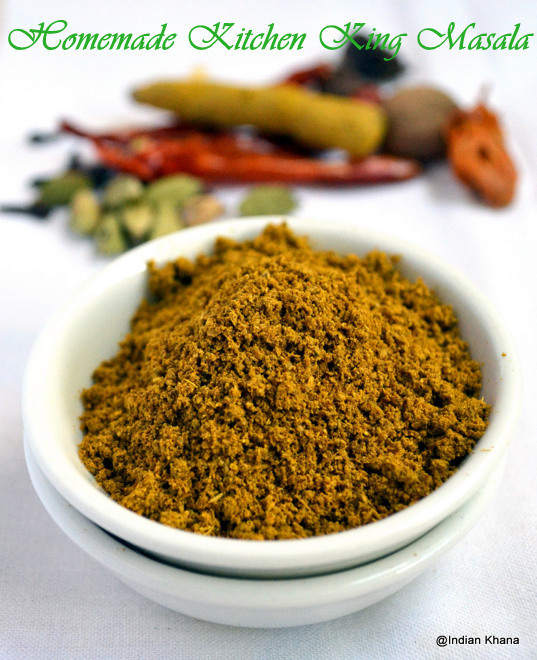 This bombay chutney comes handy when you are bored of usual side dish with poori, paratha or don't have any vegetable in hand or instead of normal chutney try this bombay chutney with any dosa and you will love it, the combination works like a charm. Mixed Dal Adai Dosa or multi dal dosa is healthy, nutrition does made with different legumes, rice and spiced up with ginger, chili. Mixed dal dosa or adai is great way of starting a day or even for lunch, dinner pair along chutney, sambar or anything else of your choice for a powder packed breakfast. We can do lot of variations in this dosa like normally instead of green bean or moong dal I use sprouts. 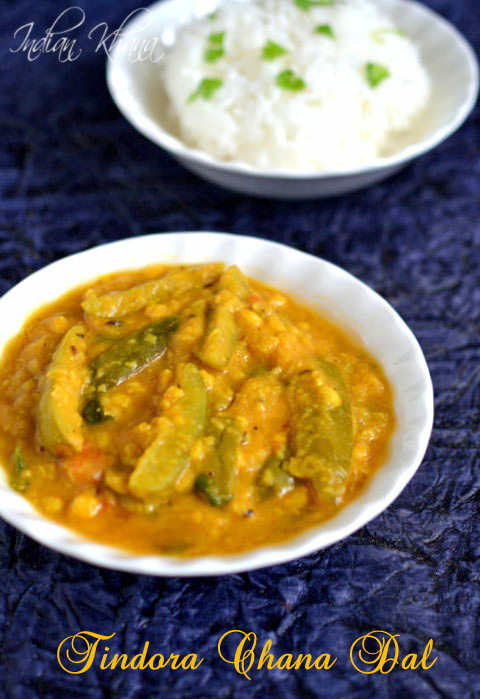 Tindora Chana Dal, Ivy Gourd Chana Dal or Kundru dal is easy dal recipe and works as great side dish with steamed rice, jeera rice, roti, paratha etc and we doesn't require any other vegetables as side along with this dal. I normally add vegetables in dal and make a side vegetables too but when rush these dals are really good option specially on week days. 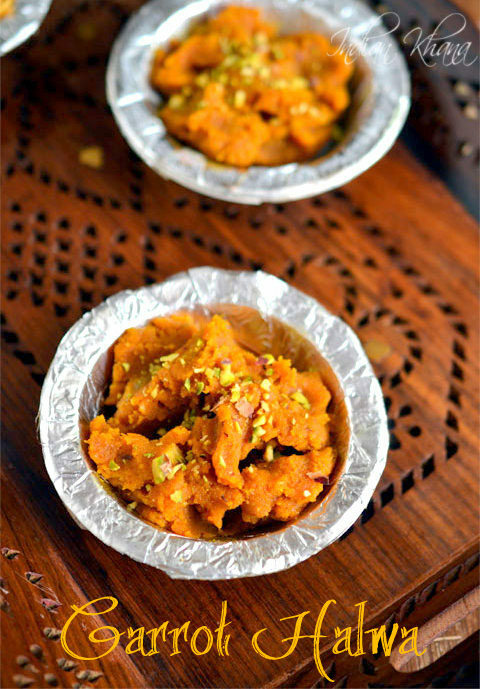 Carrot Halwa or Gajar Ka Halwa is something that everyone loves I am sure and it's one of the most popular Indian sweet/dessert for any occasion, celebration. 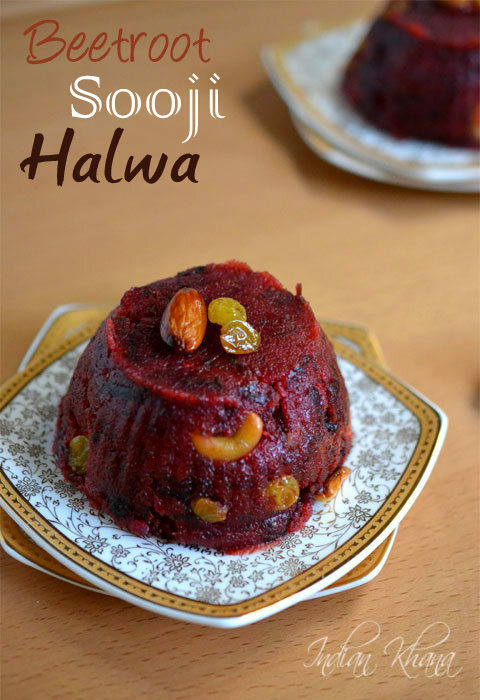 Carrot halwa is best winter dessert specially if you get the North Indian variety of red carrots then it's best to make halwa :) This recipe is my sister recipe where carrot is not grated but made puree. 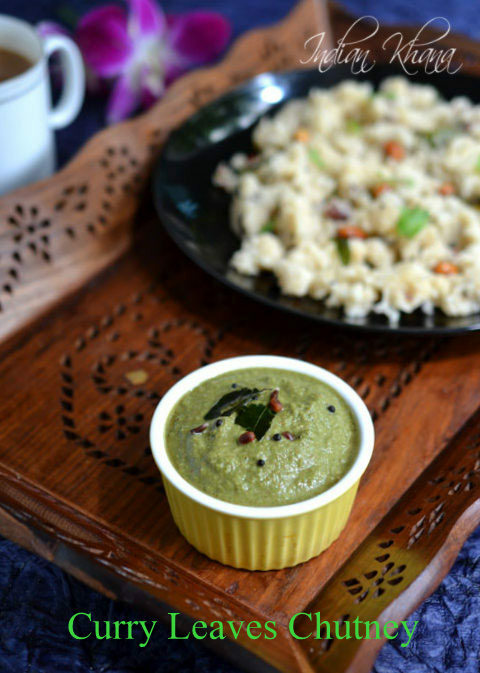 Curry Leaves Chutney or karuveppilai chutney is healthy, flavorful accompaniment for idli, dosa, pongal, upma or any other tiffin items. 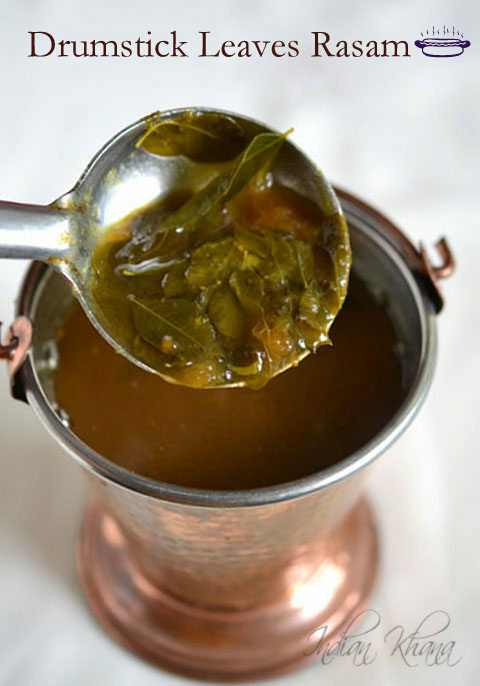 Curry leaves chutney is tasty and very healthy too, if you want to try something new then try this chutney. This is no onion no garlic recipe but you can also add 1 or 2 garlic pods to if you like. You can also do the same with mint leaves just replace curry leaves with mint leaves to have mint chutney. 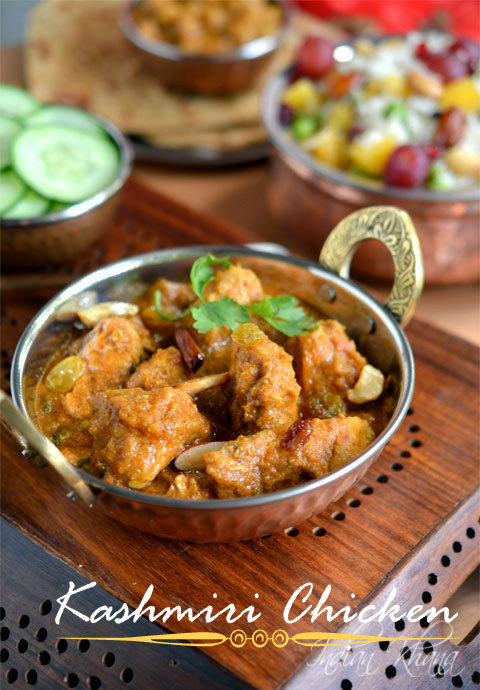 Kashmiri Chicken or Kashmiri Murgh Masala is mild spicy, sweet, creamy, rich and delicious chicken curry. Whole garam masala, dry fruits cooked in onion-tomato gravy makes this murgh masala very delicious, if you look for some thing different to try or want to please your family, guest then try this Kashmiri Chicken and you won't be disappointed and this chicken curry goes will with simple pulao to spicy pulao, biryani, poori, paratha or even plain rice too. Lobia Biryani or Chawali Biryani is easy, flavorful biryani recipe made with lobia/chawali/jhurga, simple spices and coconut milk. This lobia biryani is perfect lunch box recipe for adults and kids too, it's filling and with goodness of lobia. This recipe is good if you look for change from usual vegetable biryani, soya chunks biryani etc and this one done in jiffy too just we have to soak the lobia previous night that's all. 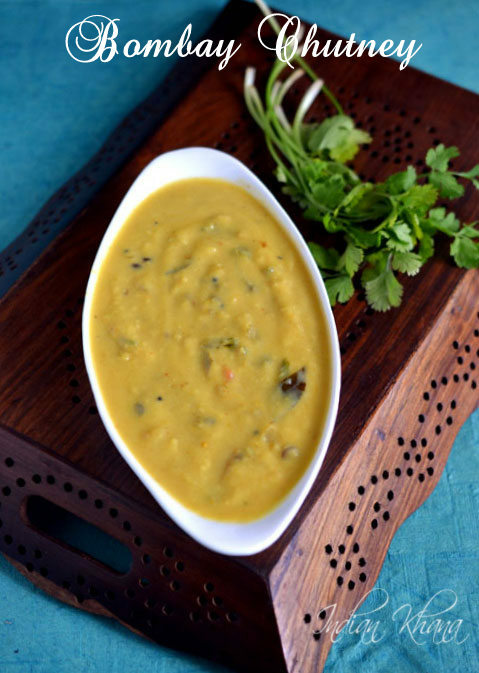 Palak Moong Dal or Mung Palak Dal is easy, healthy and flavorful dal made with palak (spinach) yellow split moong dal and tempered with simple ingredients to make this delicious dal to pair with rice or roti, paratha. 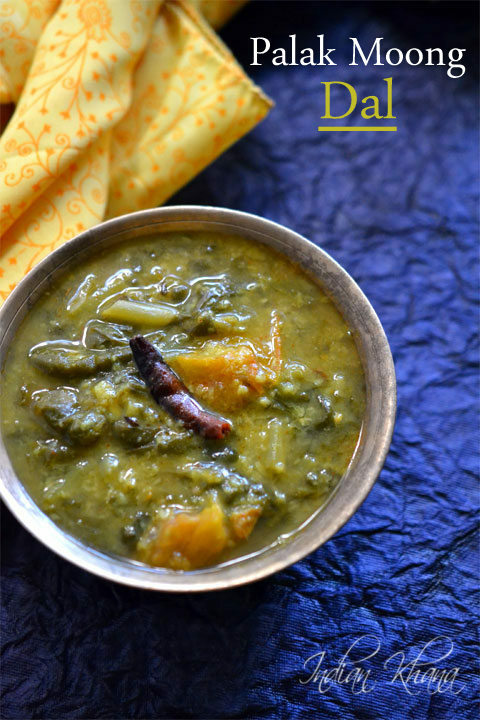 Moong palak dal can be really done in jiffy we just have to pressure cook dal and spinach and then do the tempering that's all the dal is ready in no time, very good way to include spinach in our diet in dal form. 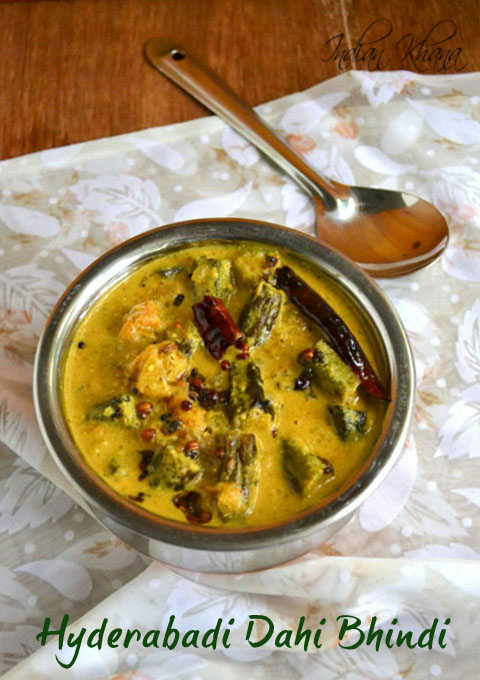 Goan Prawn Okra Curry or Prawn Okra Curry in Goan style is delicious prawn curry, okra or bhindi adds wonderful taste and flavor to this curry. 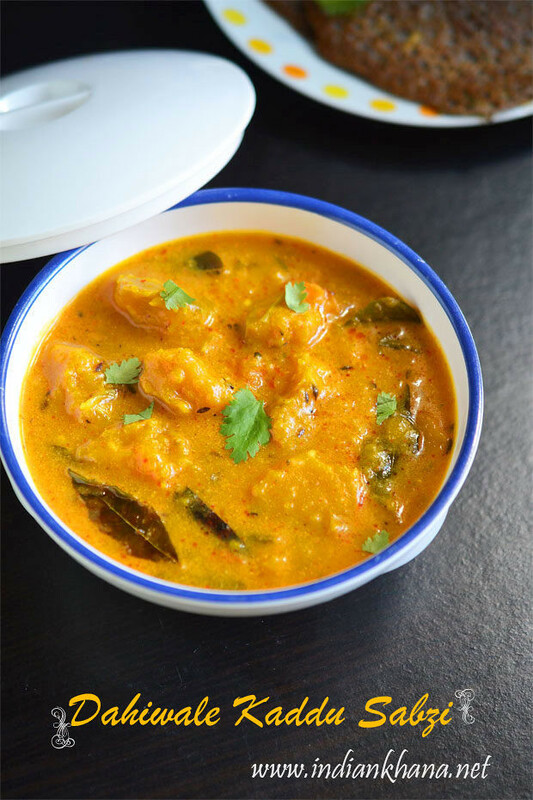 It's seriously delicious if you haven't tried Goan style prawn curry then you should try it and add okra you going to love it, this curry is spicy and flavorful just wonderful. 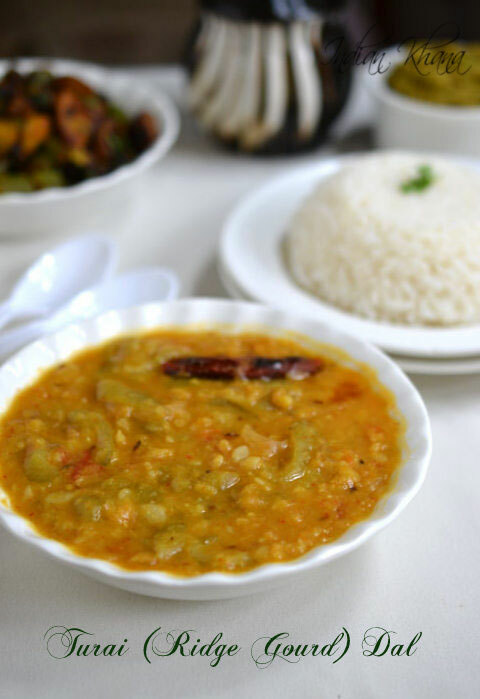 Kheksi dal is great wayt eat Kheksi also known as kakrol, Spine-Gourd, Kantola (kantala), Kankoda, Kankada, Kakooras, Katu Pire etc. 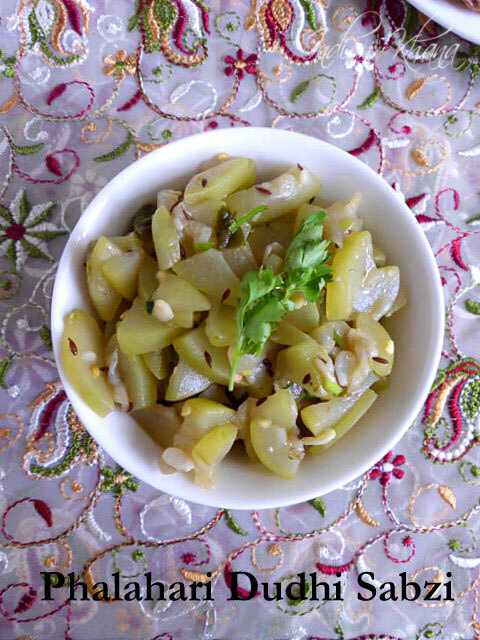 Kheksi or spine-gourd is similar to tindora and pointed gourd (parwal) you can say but the taste is different. Normally this Kheksi Chana Dal made or fry is made with onion and masala which taste yum too. Kheksi is normally available in monsoon so I am not sure if it's still available in market. Instant rice flour dosa or rice dosa is easy dosa recipe which we can make in jiffy with minimal ingredients for a quick breakfast, snack or dinner. I do this most of the time as it' really quick and taste yum too. 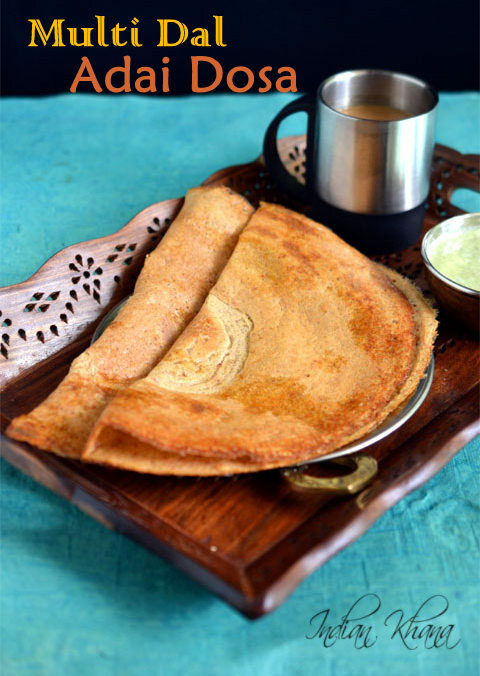 Crispy, flaky rice flour dosa taste delicious with any chutney, sambar or even podi, this instant dosa is good option when you run out of ideas of what to make for breakfast. 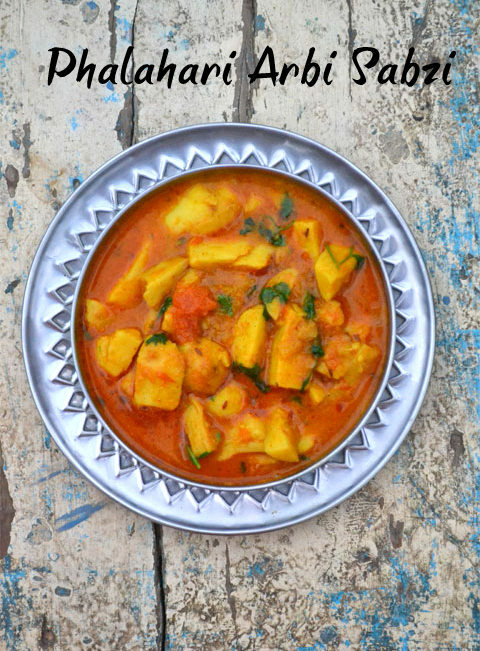 Pumpkin Taro Curry or Kumda Kochai Sabzi or Kaddu Arbi Sabzi is tasty combination of pumpkin and taro. Different way to make pumpkin and both the vegetables comes together very well. 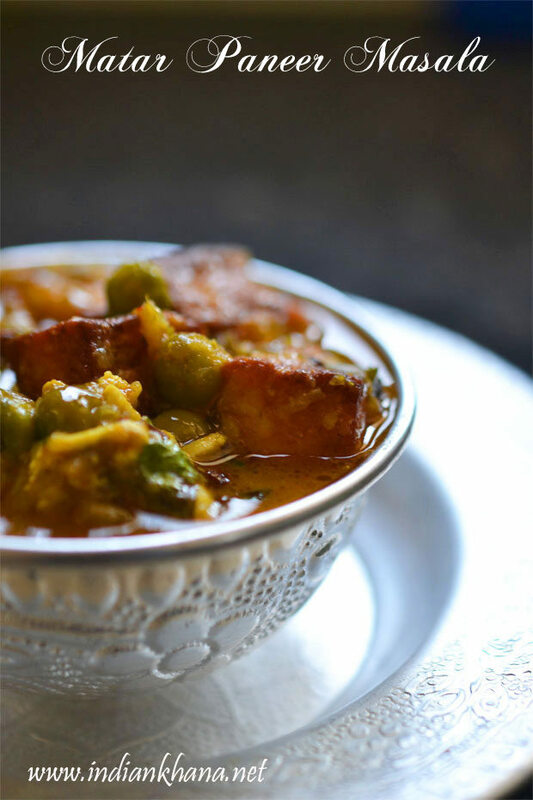 Sweet, tangy and mildly spicy this curry goes well with roti, paratha or steamed rice. Normally with full pumpkin I make pumpkin dry curry in batches and only some time try other things. 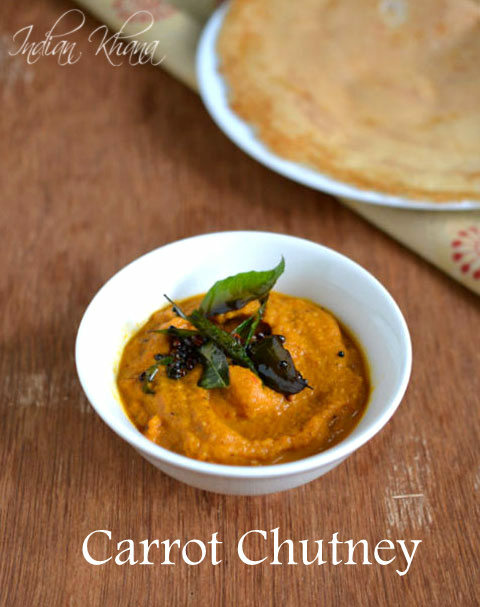 Carrot Chutney or gajar chatni is one of the easy and healthy and no coconut chutney recipe for idli, dosa, pongal, vada or any tiffin items. I used to make this carrot chutney a lot some time back and along with few variations. This carrot chutney is easy and a good change from normal coconut, onion or tomato chutney plus a good way to include carrot in our diet and specially for kids if they don't eat carrot, this is also no onion no garlic chutney recipe. 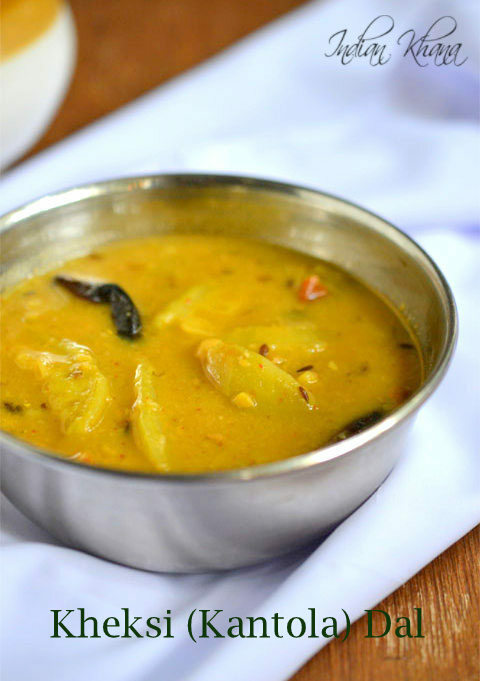 Vazhakkai Kara Kuzhambu or Plantain (Kaccha Kela) Kulambu is easy, spicy and delicious kuzhambu recipe goes well with steamed rice. I liked kuzhambu or kulambu but I make it rarely as DH doesn't eat so once in a blue moon just to satisfy my kulambu craving I do make it and this time I made this vazhakkai or plantain kara kuzhambu and it's similar to Chettinad style so this kulambu is on spicy side. Hyderabadi Dahi Bhindi or Shahi Dahi Bhindi Masala is easy and delicious Okra/ladies finger/vendakkai curry made in onion-tomato and yogurt/curd sauce or gravy. 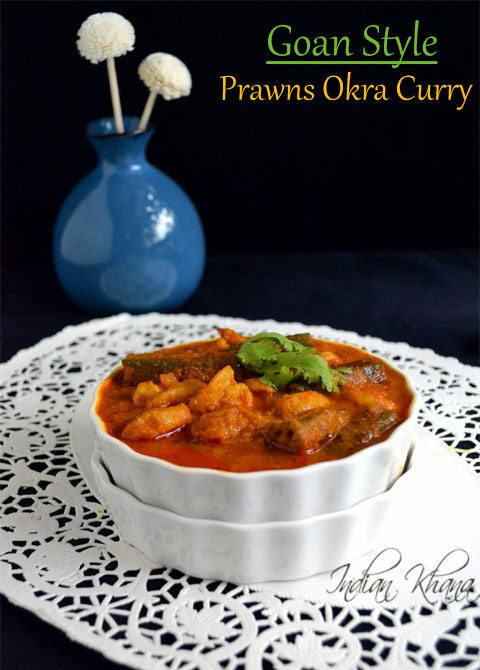 This is easy Okra curry (bhindi sabzi) that goes well with steamed rice, simple pulao or roti/paratha. Tangy, rich, creamy and yummy dahi bhindi is real treat to eat. 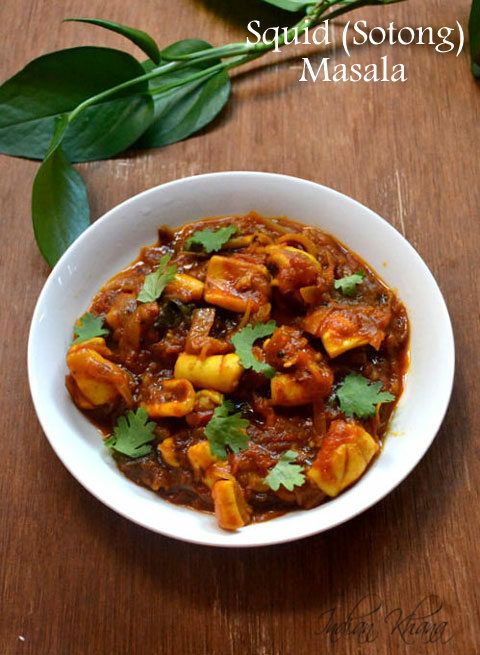 Squid Masala Curry, Sotong Curry or Kanava Masala, Koonthal Curry is easy masala curry made with squid or sotong in onion-tomato gravy. This squid curry is Andhra style so it's on spicy side. I didn't ate myself this squid masala but really got good review for it and that too when I cooked it first time and until now the only time. Ridge gourd peel chutney or turai chilka chutney or Peerkangai Thol Thogayal (chutney) is easy thogayal recipe made with ridge gourd peel or skin and other minimal ingredients. 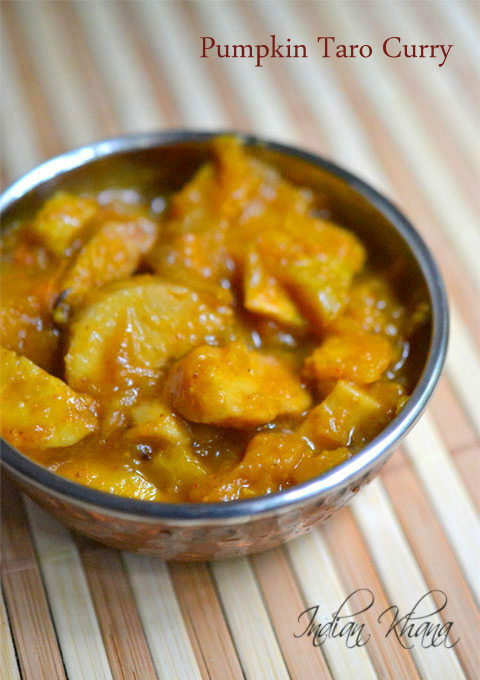 Never let your ridge gourd peel go waste and try this easy thovaiyal recipe which works as great side dish with dosa, idli, pongal and steamed rice. 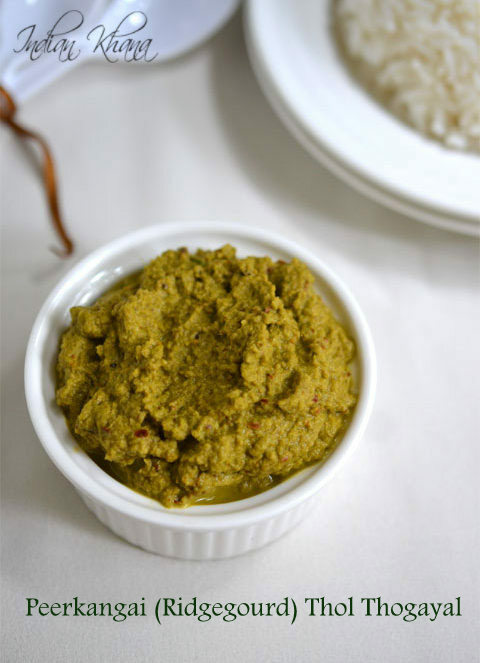 Rice this thogayal and ghee is great combination to relish. Turai dal, turai tuvar (arhar/toor) dal or ridge gourd dal/Peerkankai is easy and healthy dal recipe made with turai (ridge gourd) and toor dal and tempered with onion, tomato masala. 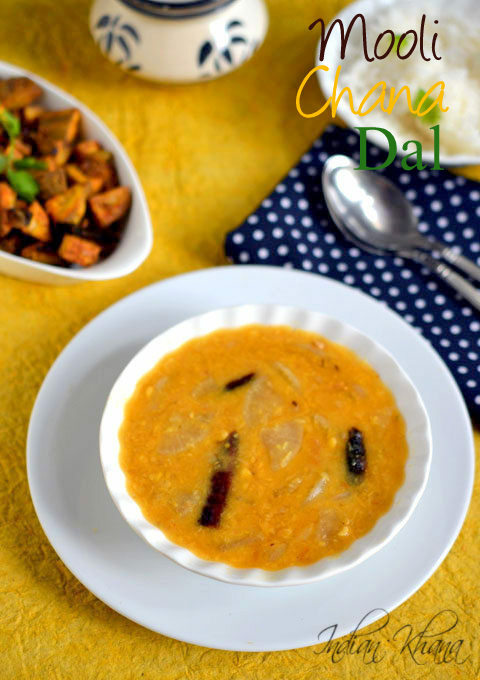 This is one of the most delicious dal and great way to include ridge gourd in our diet or when you have less ridge gourd that dry sabzi can't be made then preparing dal with ridge-gourd (taroi) is great idea, one of the best comfort food. 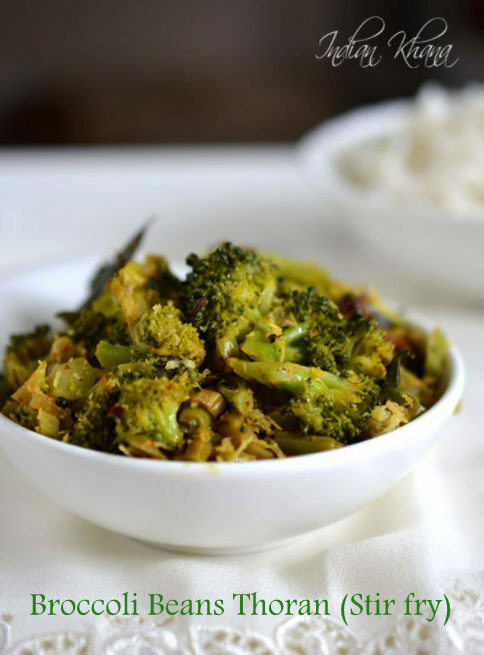 Broccoli poriyal/thoran or stir fry is very common in our place and I do most of the time stir fry with broccoli and this time I added beans with broccoli for this broccoli beans stir fry, thoran or poriyal whatever we may call it. After all the diwali recipes, a much needed break from all the sweets and savory snacks is with this healthy and delicious stir fry. Gujiya, Karanji, Karjikai, Kajjkayalu etc is same name for Gujiya, Diwali, holi must have sweet in our home is gujiya. Gujiya, namak para, sev is tradition in my parents home for every Diwali/Deepavali and Holi. As I am posting Diwali sweets and snacks recipes now here comes another personal favorite for Diwali Sooji Gujiya, though there is khoya/mawa in this gujiya but still sooji is more so I call it sooji gujiya. 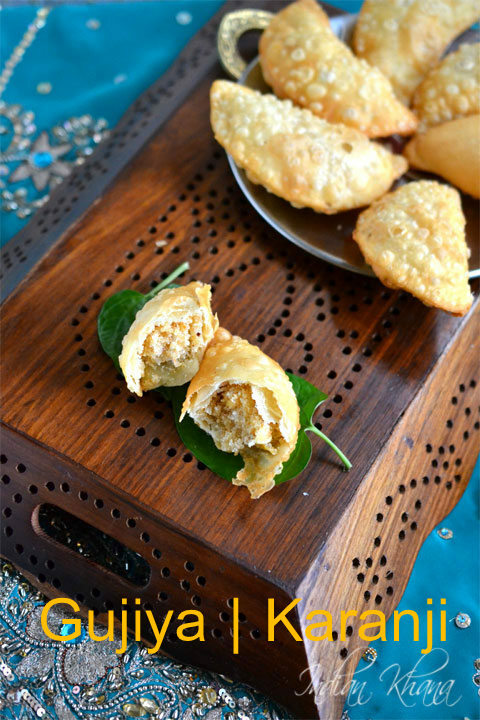 You can also check out my Mawa (Khoya) Gujiya recipe. Spicy Namak Para, Nimiki, namak paare, or diamond cuts is popular snack or namkeen recipe during Diwali, festivals or even for tea time. I have already posted normal namak paare recipe and now I am posting spicy version of diamonds cuts (namak para). We make namak para for almost all festival like Diwali/Deepavali, Holi or for travel. 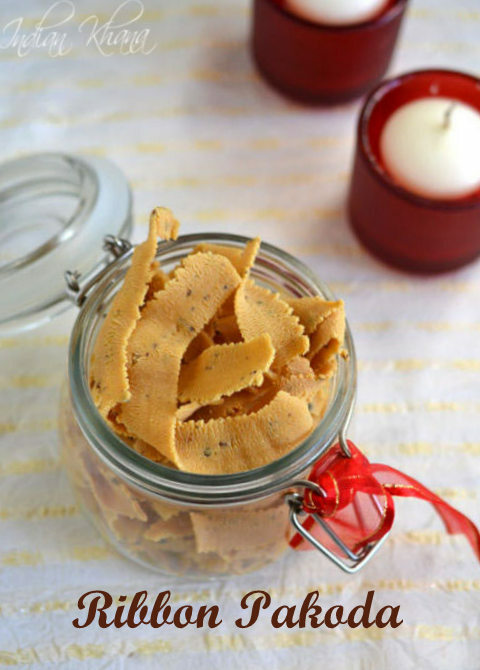 Try this spicy version of namak paray this Diwali and you will like this too. 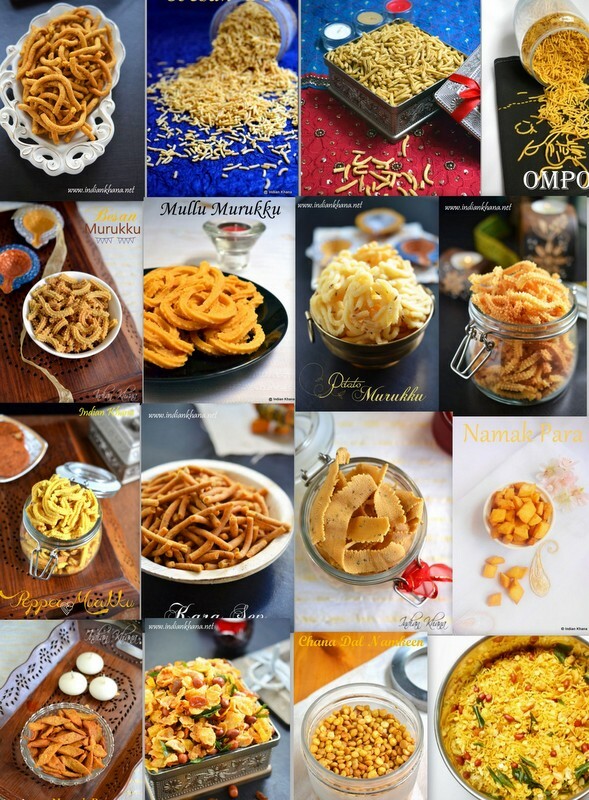 Vegan Diwali Sweets and Diwali Savory Snacks Recipes collection I am posting for the people looking for vegan diwali sweets and snacks during this festival season. 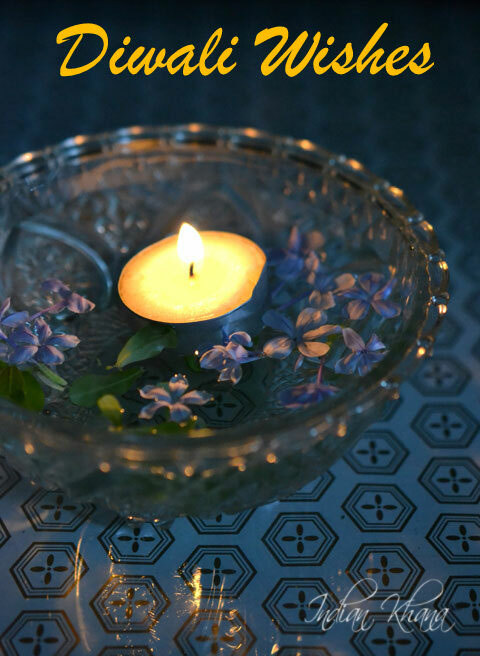 Being Vegan doesn't mean we can't enjoy the festival specially Indian sweets and snacks we just need to make little changes and we can still have some amazing sweets and savory snacks for diwali/deepavali. 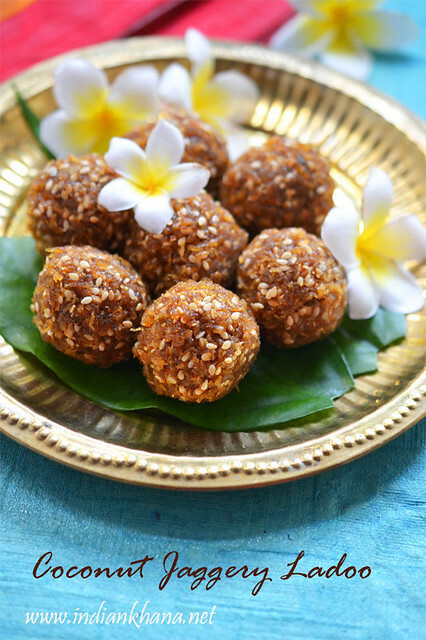 Coconut Khoya Gulkand Ladoo or Coconut Mawa Gulkand laddu is easy laddoo recipe made with minimal ingredients desiccated coconut (nariyal ka burada), khoya or mawa and stuffed with gulkand. 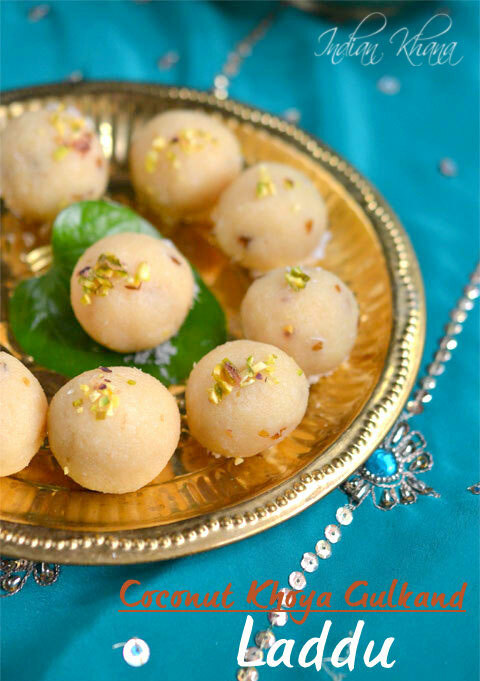 Coconut ladoo is one of family favorite cause it's just so delicious and easy to prepare and this time from usual coconut condense milk ladoo I tried this new ladoo with khoya and stuffed it with gulkand. Easy Diwali ladoo/laddu/laddoo recipe collection which you can make in jiffy for Diwali/Deepavali without much hassle. Basically ladoo is ball-shaped sweet made of various ingredients like atta (wheat flour), besan (chickpeas flour), nariyal (coconut), dry fruits, roasted gram (daliya), Sooji (rava or semolina) and boondi ladoo and many more variety of ladoo are made and the most popular being boondi ladoo, Sooji/Rava ladoo, Besan ladoo, Coconut Ladoo, Maaladu etc. Ribbon Pakoda, Ribbon Murukku, Ola Pakoda, O'ttu Pakoda, Oatu Pakoda, Nada Thenkuzhal, Ribbon Karalu is all same name for Ribbon Pakdoa. 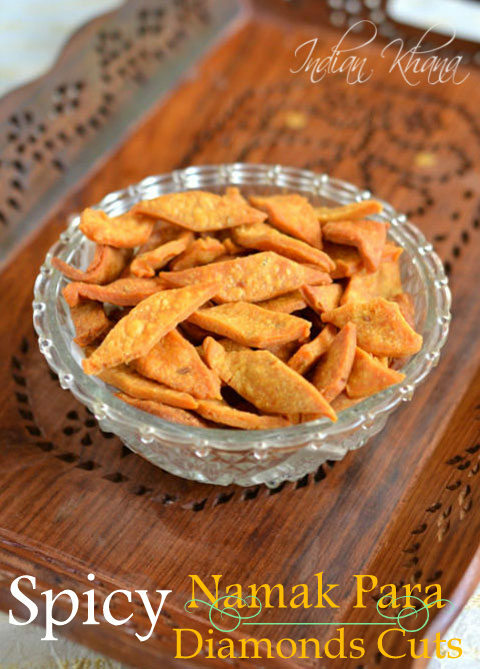 Made mostly during Diwali or other festival it's also great snack idea for tea time, party or kids snacks box. Ribbon pakoda is popular South Indian murukku variety easily available in all the sweets shops, it's crunchy yet soft a perfect tea time snack. Today is Diwali Snacks or savory recipes as Diwali or Deepavali 2013 diwali falls on 3rd November 2013 so I am listing easy diwali snacks savories recipes at one place for easy access. 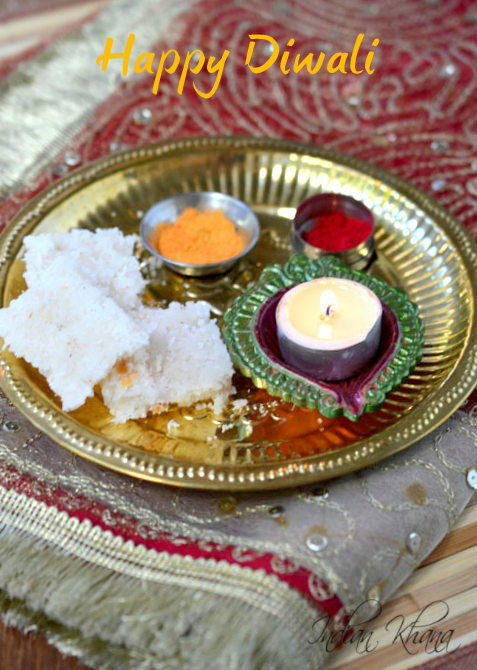 Diwali or festival of lights as it's also known as is important Hindu festival. 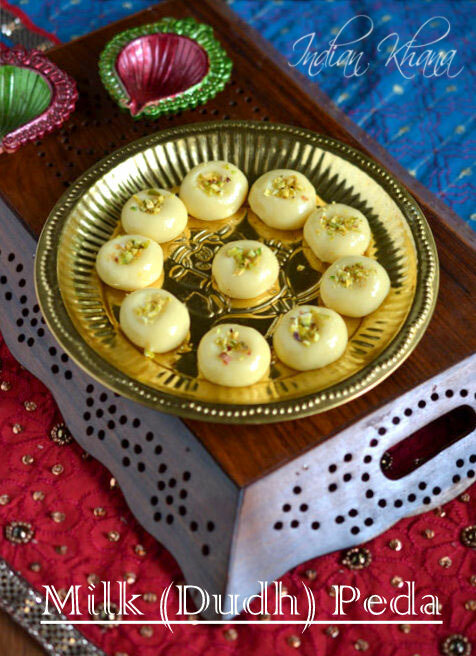 I have already written about Diwali in my Diwali sweets collection post which you can read here. 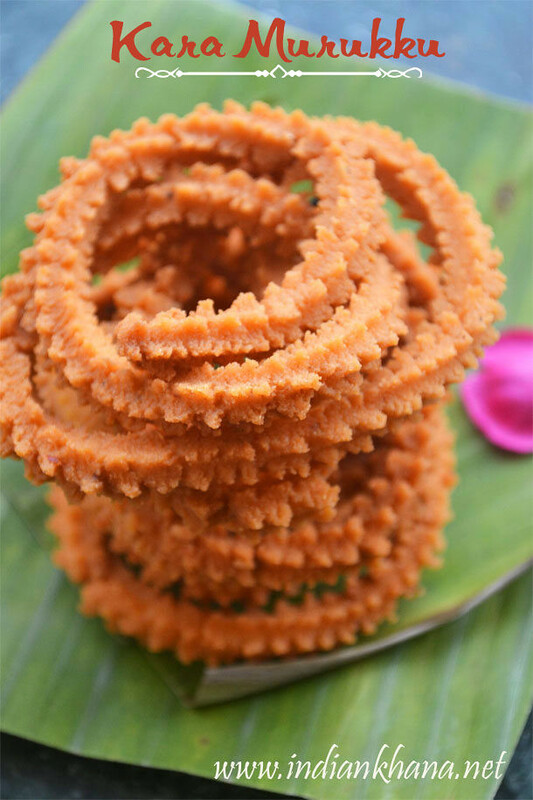 Murukku or Muruku or Chakli is popular evening snack or Diwali/festival recipe made normally with rice flour. 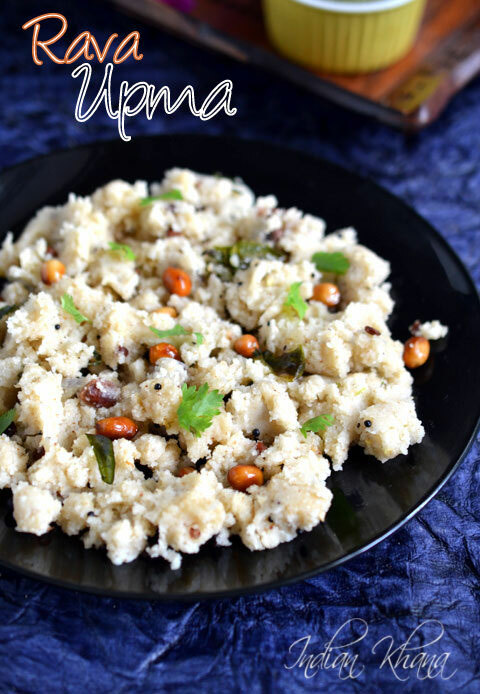 Besan Murukku is different from general murukku there is no rice flour used in this recipe, it's just made of besan/chickpeas and spices. 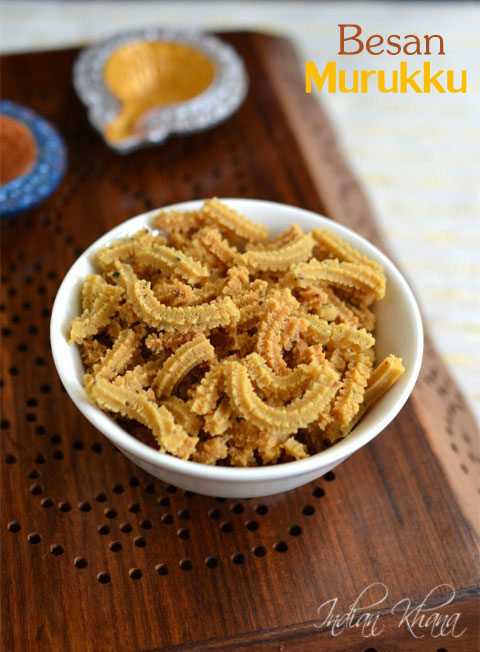 Murukku means twisted in Tamil and so this twisted snack is called murukku or Chakli in hindi. 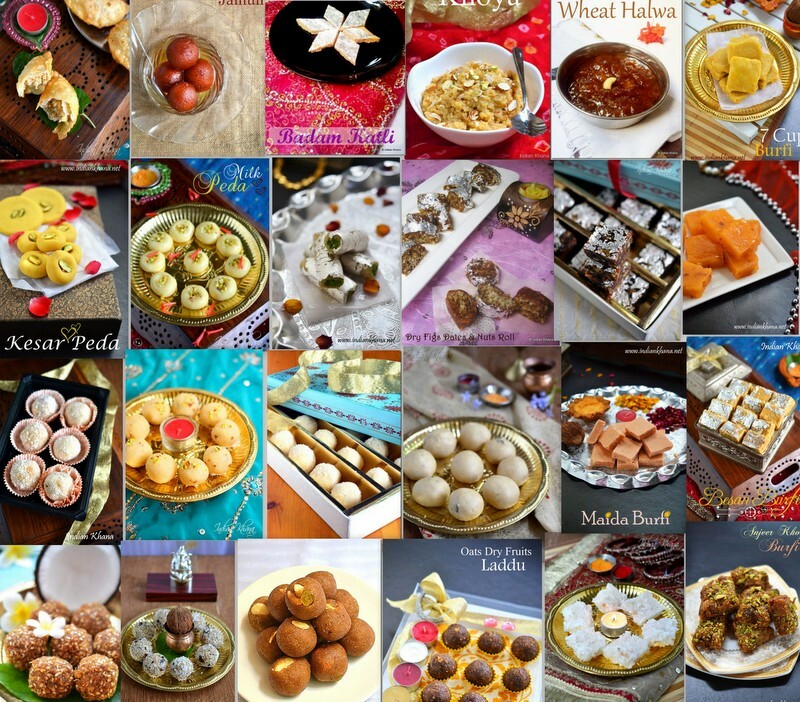 Diwali Sweets Recipes - Diwali or Deepavali 2013 is just 10 days away, this year diwali falls on 3rd November 2013 so I am listing easy diwali sweets recipes at one place for easy access. 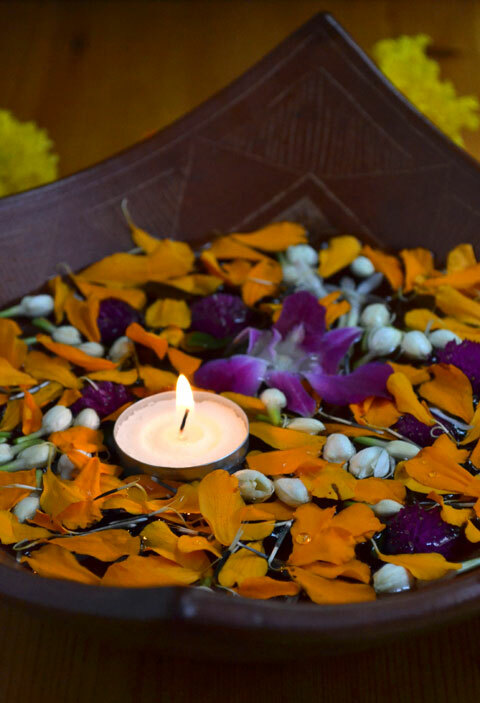 Diwali or festival of lights as it's also known as is five-days festival celebrated on thirteenth lunar day of Krishna paksha on Ashwin month. Diwali is celebrated to mark return of Lord Ram from Vanvas (exile) and to welcome his return Diyas were lit. Paneer Makhani or butter paneer is easy paneer recipe perfect for party, festival lunch, dinner, pot luck or even for lunch box. I always make one paneer dish for guest and it's mostly paneer butter masala or this paneer makhani. 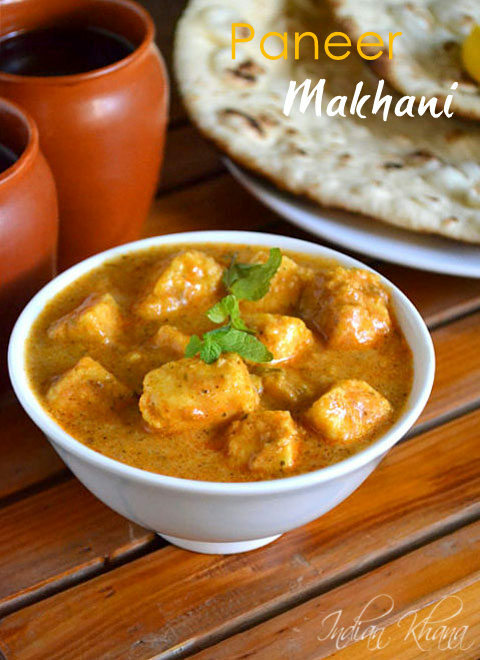 Paneer Makhani is popular North Indian curry, creamy and delicious with soft paneer it's a treat to eat. Paneer Makhani goes well with naan, kulcha, paratha, jeera rice, peas pulao, kashmiri pulao or any other rice variety. Bagara Bhaat or Masala Pulao or bagara pulao is popular rice variety made with simple ingredients and goes well with any curry. Bagara Bhaat is simple version of biryani made with just garam masala and onions. 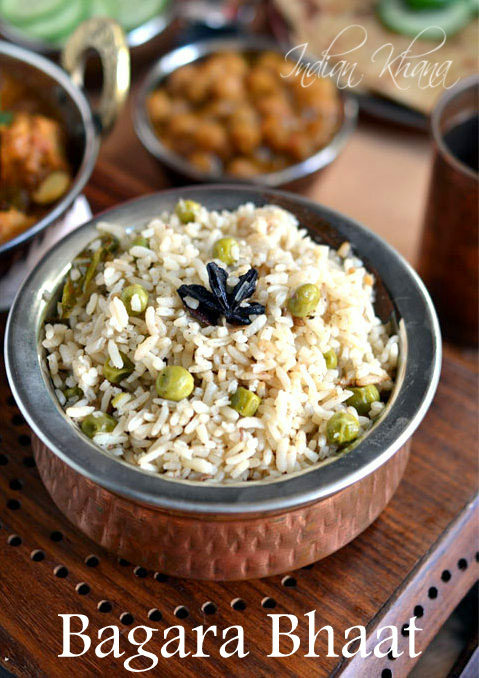 Different from usual jeera rice or peas pulao bagara bhaat is good change, bagara bhaat or bagara khana is Hyderabadi specility like bagara baingan. 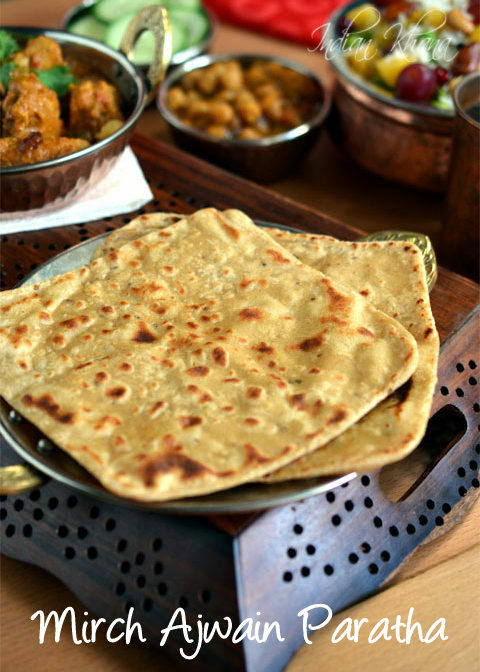 Bagara or bagarana means fried or frying, also tempering or tadka also known as bagarana. 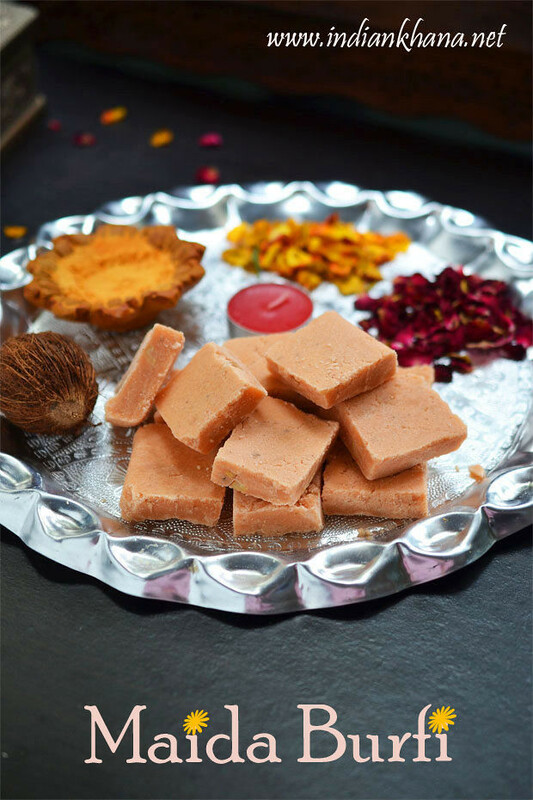 Coconut Burfi, Nariyal Burfi or Thengai burfi is one delicious and easy sweet perfect for any occasion or festival. 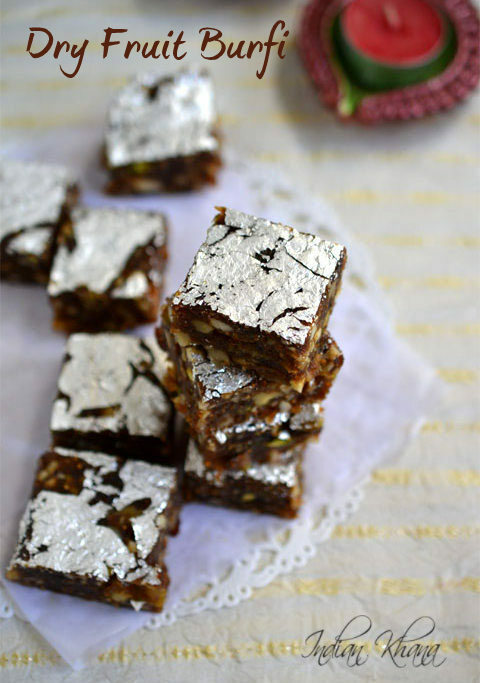 This coconut burfi is very easy to prepare in less time and it taste just delicious. 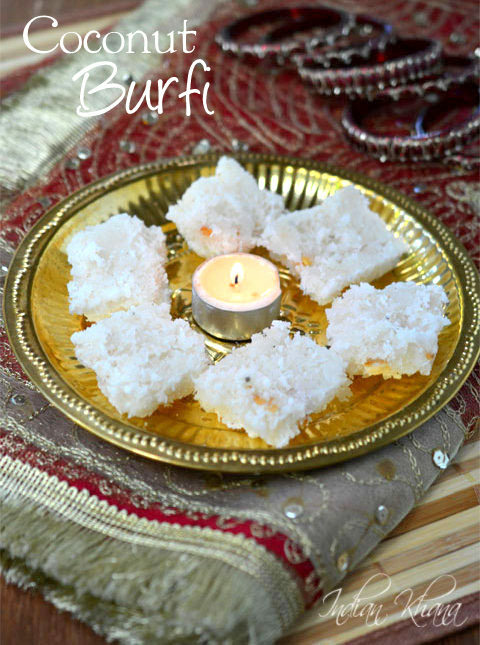 Festival season in full swing now with Karwa Chauth, Diwali around this coconut burfi can be very handy recipe. Made with minimal ingredients it's a treat, just not for festival we can prepare this for kids snacks box or to satisfy some sweet craving. Homemade Roasted Coriander Seeds Powder or Dhaniya powder is easy home made recipe to make fragrant coriander powder in no time. Normally coriander seeds are not roasted before making powder which makes shelf life less and also the aroma we get by roasting it gets missing. 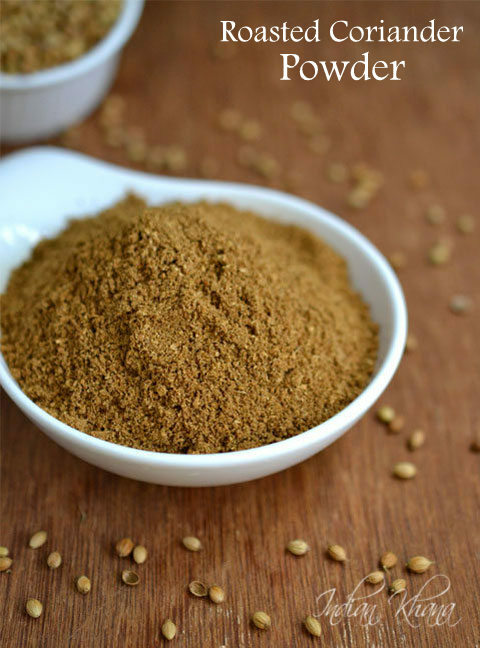 If you make to have your own home made spice powder then this coriander seeds powder you will love too it's easy same like cumin powder or fennel powder. 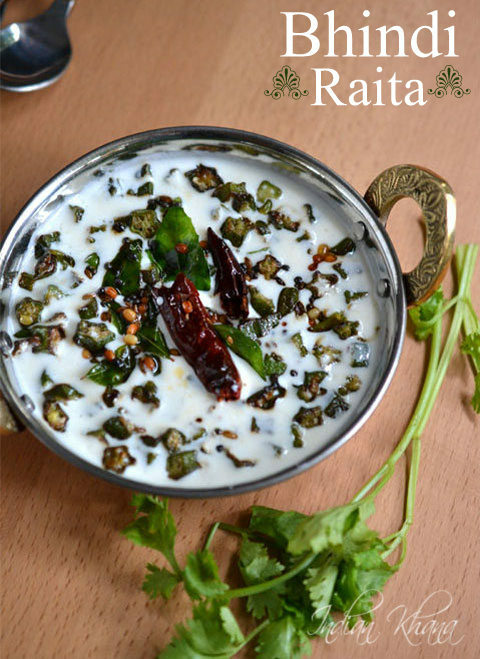 Bhindi Raita or Vendakka Thayir Pachadi or Okra Spiced Yogurt Dip is one of easy raita or accompaniment recipe perfect with Biryani, Pulao or Variety Rice. Vendakkai pachadi or bhindi raita is good variations from usual raita recipe with crispy fried okra/bhindi, chilled yogurt and with tempering or tadka it's taste wonderful. 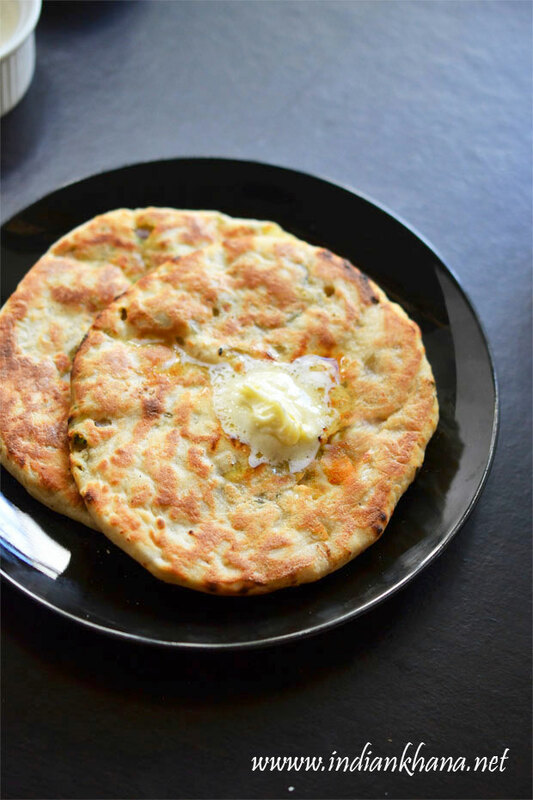 Not only rice but we can also pair this raita with roti or paratha too it goes well with everything. Chana Dal Puri or Dal Puri (poori) is traditional, authentic Uttar Pradesh/Bihar recipe made during Dussehra/Dasara in our home. This is called Chana Dal Puri but it's actually made as stuffed paratha. Chana dal poori made on Dussehra (Vijayadashami), Holi, wedding, during winter or on any auspicious occasion or celebration. This is one of family's favorite dal puri made with minimal ingredients its very simple and taste delicious, during Dussehra chana dal puri is served with Bakheer another traditional recipe. 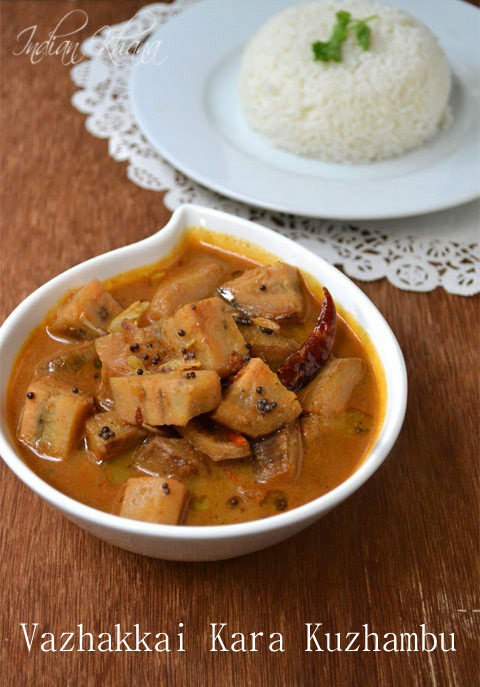 Phalahari Arbi Sabzi or Kochhai/Taro/Colocasia is delicious curry or sabzi made with arbi and this is suitable curry for Navratri fasting/vrat/upwas with no onion no garlic and everything that is not allowed in fasting. We can make this curry not only during fasting but on normal days too just change sendha namak/rock salt with regular salt and enjoy this no onion no garlic curry with anything of choice. 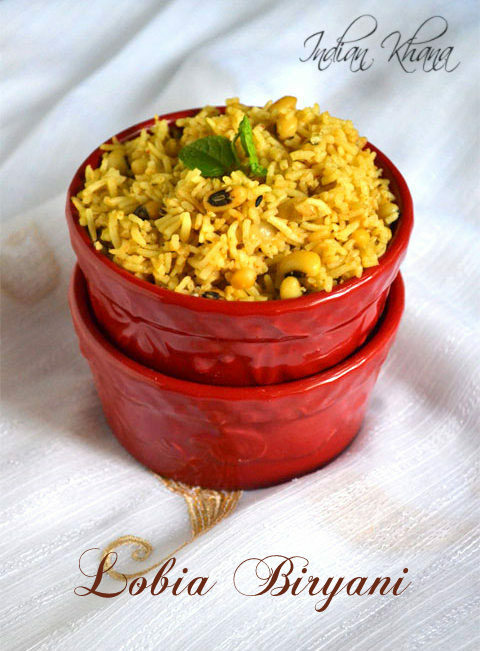 Kashmiri Pulao or Kashmiri Pulav is aromatic, sweet, mild, colorful pulao unlike any other pulao. 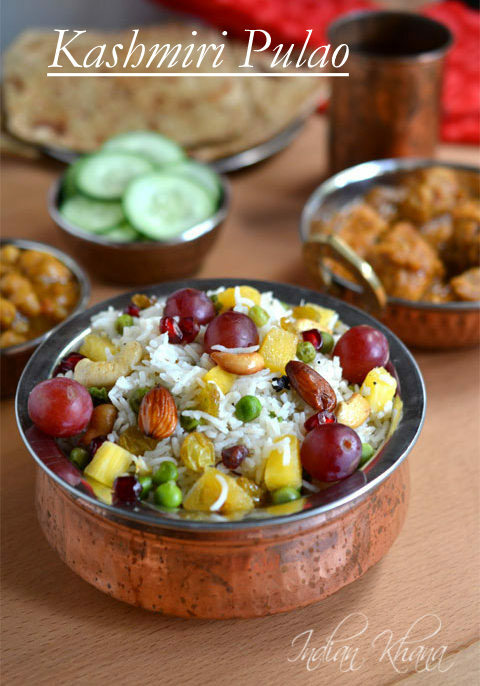 Kashmiri pulao is very easy to prepare with lot of variety and fruits variations, dry fruits are added generously in this kashmiri pulao which makes this unique. 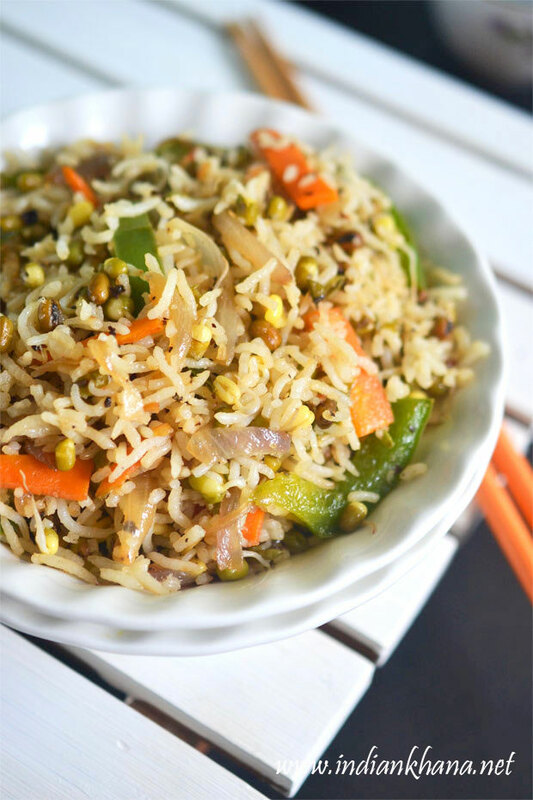 If you don't like your pulao to be on sweet side then just add less of fruits and fry fruits in this recipe and customize according to your preferences and need. Kashmiri pulao we can eat by self and doesn't really require any side dish or even a raita works great along. But we can pair it with some paneer butter masala or even chole works good or if you prefer some chicken curry on side. Phalahari Laudki/Dudhi Sabzi is simple bottlegourd recipe suitable during Navratri fasting and any other fasting vrat occasion. 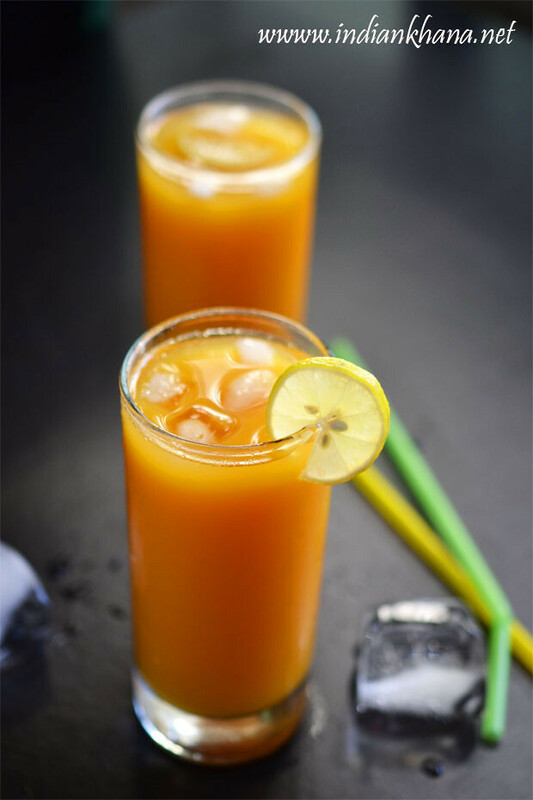 Made with minimal ingredients this vrat ke dudhi sazbi is mild in flavors and taste yum. As this is vrat recipe so this sabzi has no onion no garlic suitable for people whom avoid garlic, onion in cooking. 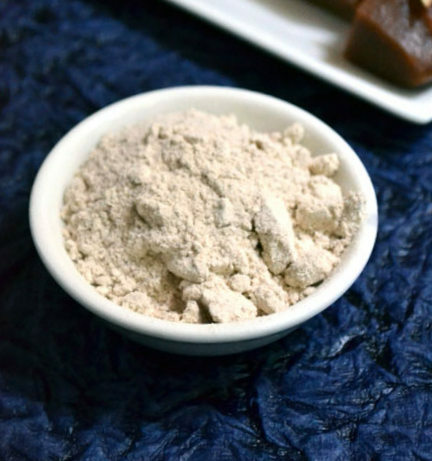 Singhara Atta or singhada atta, water chesetnut flour is one of the important flour or ingredients during fasting (vrat/upwas). 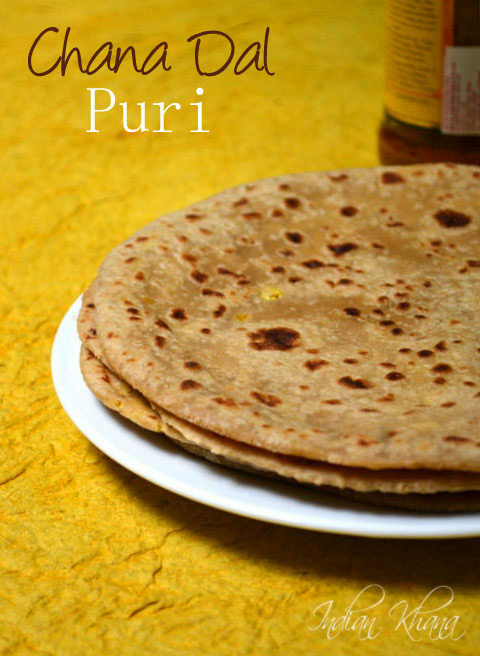 There are various recipes made with singhara atta for fasting (phalahar) in festivals like Navratri, Durja Pooja, Janmashtami, Shiv Ratri, Ekadashi etc in North India. Singhara atta is made from singhara or water chestnut, singhara or water chestnut also known as water caltrop are floating annual aquatic plants growing in slow-moving water up to 5 meters deep, singhada atta is made from dried ground water chestnut where chestnuts are boiled, peeled, dried and then ground to flour and thus normal shelf life of singhara atta or water chestnut flour is up to a year.